A 520 seat Performing Arts Theater is on its way to completion on the Johannesburg Campus. The build is going extremely well, it is on time and budget. By February 2016 we anticipate the theater to be fully operational. 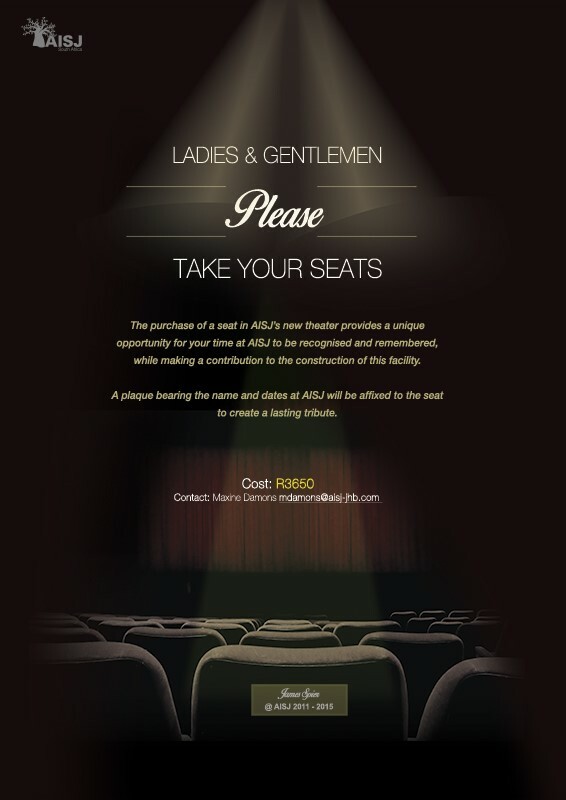 To celebrate this achievement, AISJ is launching a “Buy a Seat” campaign; all seats in the theater will be available to be named in honor of students, employees / families who are currently at AISJ or who were part of the AISJ community. The cost of each seat in the theater is R 3650.00. With a contribution of that amount, a plaque will be fitted to the back of the seat detailing the name(s) of the family or individual and dates of attendance / service at AISJ. All proceeds will be used to defray the construction cost of the theater and to create a lasting tribute. To select your seat and receive more information, please contact Ms. Maxine Damons in the AISJ Business Office (Johannesburg Campus) at mdamons@aisj-jhb.com. 1. Contact Maxine Damons – she will send you the layout of the seating plan. You will then respond to her with the seat/seats of your choice and the completed electronic plaque wording form. 2. Maxine will reserve your seat/seats and send you confirmation thereof. You will also receive an invoice detailing the amount that needs to be paid. Please ensure you use the correct reference on the payment: Account #, Seat # & Row. 3. Payment will need to be made within 72 hours of receiving the invoice. As soon as you have made payment please send through the proof of payment to Maxine. If not paid within the timeframe, the seat will become available for someone else to purchase. 4. Once the amount is reflecting in our account, you will receive confirmation that your seat has been secured. Q. What can I put on my seat plaque? Q. Does purchasing a seat allow me to always use that seat when there are events in the theater? A. No. If the seat is not already occupied or sold for an event, you are most welcome to sit there, however, this is not a “season ticket”. 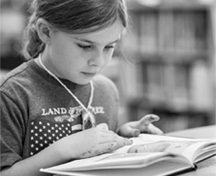 It is an opportunity to both support the School’s facilities development and honor your time with AISJ. Q. Are all seats priced the same? A. Yes. We have set the contribution according to the actual cost of each seat. Q. How do I go about choosing my seat(s)? A. A seating plan will be sent to you via email on enquiry or by visiting the Business Office personally. Q. How do I pay for my seat? Q. Can I buy more than one seat? Q. If we are not leaving the school at this time can we buy a seat(s) and have our leaving/graduation date added to the plaque after we leave? A. Absolutely. On departure from AISJ, you will need to complete an exit form where you can stipulate your departure date. Q. Is this just for current families? A. Definitely not. All alumni students and families are welcome to buy a seat(s). Q. How long will this campaign run? A. Until all the seats are sold so select and purchase your seat(s) early to avoid disappointment!